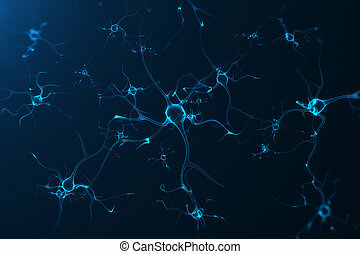 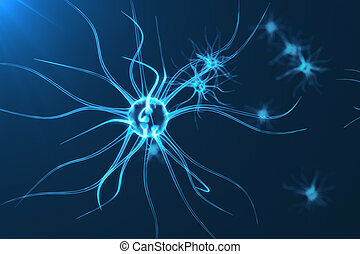 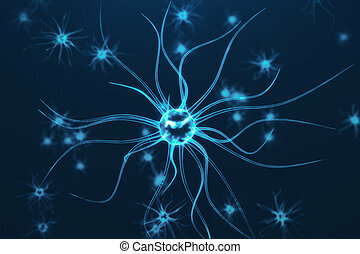 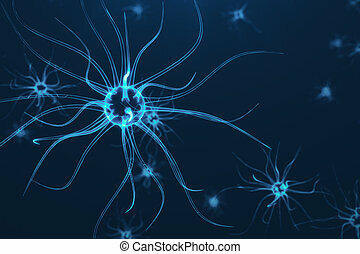 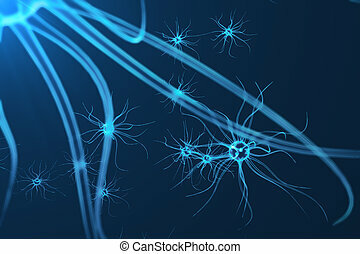 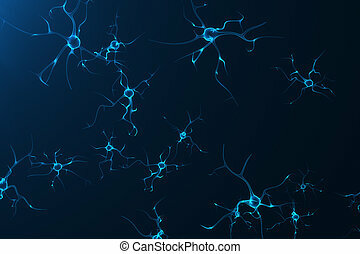 Conceptual illustration of neuron cells with glowing link knots. 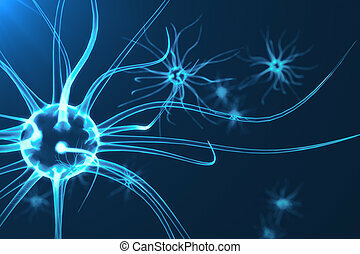 synapse and neuron cells sending electrical chemical signals. 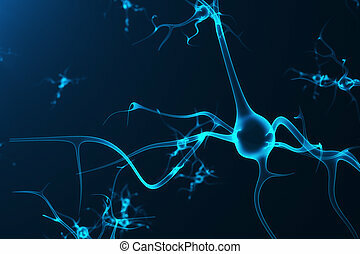 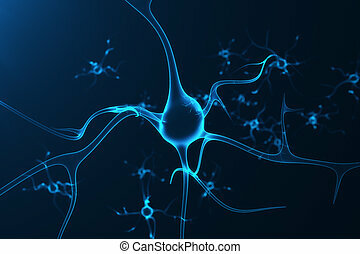 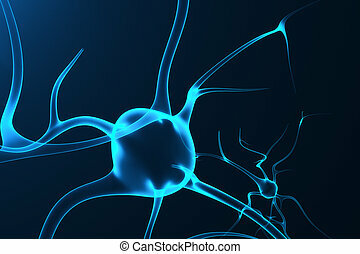 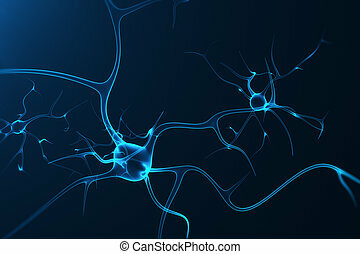 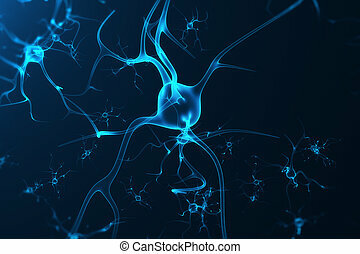 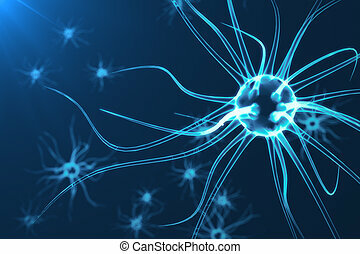 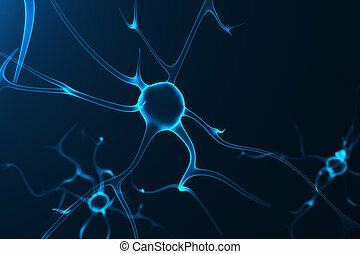 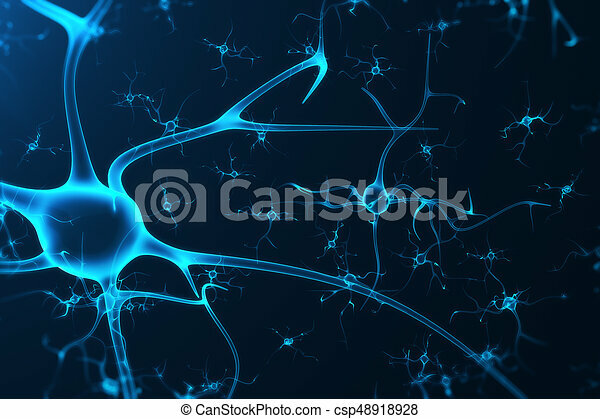 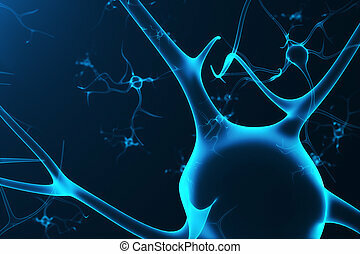 neuron of interconnected neurons with electrical pulses, 3d rendering.